There is nothing so wonderful, so perfect, that some mongrel can’t find a way to try and ruin it. But first a quick history lesson. 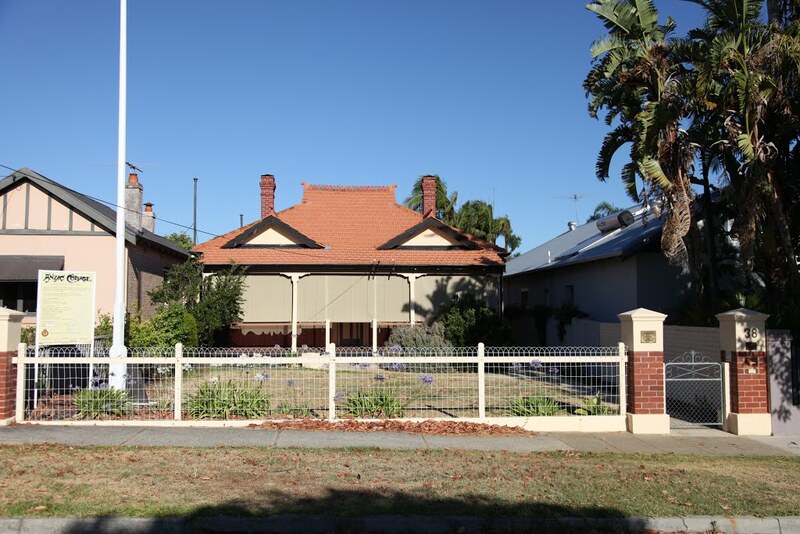 Anzac Cottage in Mt Hawthorn was built in 1916 by the local residents as a home for Private John Porter and his family. It was intended both to help out a wounded soldier and serve as a memorial for those who lost their lives at Gallipoli. End of quick history lesson. So, they’re about to build Anzac Cottage when the said mongrel pops up. Let me introduce you to John Beer. Mr Beer decides to write to the paper saying that the proposed cottage is far too grand for a simple soldier like Private Porter. He thinks that a much more modest dwelling should be constructed for the wounded digger. Of course, he’s only thinking of saving Private Porter from embarrassment of having to accept the keys of Anzac Cottage. Imagine how humiliating it would be for Mrs Porter to think that she and her family would have to live in such a lovely place. Mr Beer is only being considerate. And, in any case, perhaps more people would donate money to the project if they knew that only a small building was being erected. What a thoughtful, kind man Mr Beer was. This letter drew a stinging rebuke from the organiser of the project, Frank Kelsall. John Beer could get stuffed, he said. If you think a simple four-room cottage is too much for the family of a man who had served his nation, then you are an “insufferable cad”. Besides which, continued Frank, there were enough gossip mongers in Mt Hawthorn already stirring up trouble about the project without tossers like Mr Beer poking his nose in. Rather than do the decent thing, and keep his mouth shut, John Beer now decided to attack the organising committee, as well as Private Porter. Lovely. Fortunately, the tosspots like Beer did not triumph, and Private Porter was able to receive the keys to his modest home as planned. If you want to check out if Anzac Cottage was too grand for a wounded digger, it’s open this afternoon (1 March) from 1pm. I reckon a pint in the Oxford Hotel to toast Private Porter and curse John Beer would be entirely appropriate first. Thank You, Dodgy Perth- interestingly enough, said Mr Beer and his family were quite heavily involved in the building of the Cottage (Mr Beer and son) and providing the food and beverage for the workers( Mrs Beer and daughter!). As an adjunct to this, Private Porter wrote to the War Council to say that he did not deserve to be singled out to receive the Cottage as there were many other veterans who had suffered as much or even more than he. However, the War Council said that such a humble man was even more deserving of the Cottage! Thank you from ANZAC Cottage!